Chinese digital media/AI unicorn Bytedance has now been reported by The Wall Street Journal to have kicked off an equity funding round where it aims to raise around $3 Billion with a targeted $75 Billion valuation for the company although there is no current guarantee the company would be getting that with the amount aimed to be raised also being subject to change. 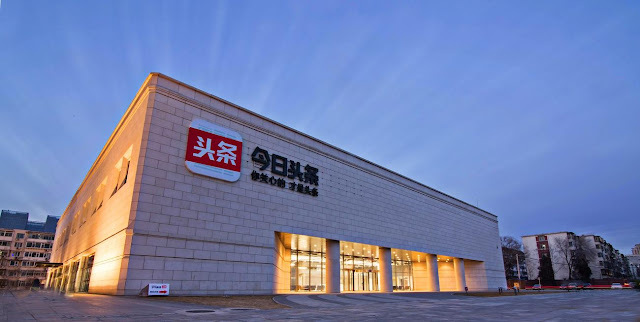 The 6 year old company behind hit mobile and internet services Jinri Toutiao, BuzzVideo, Tik Tok, Vigo Video and TopBuzz among others is also renowned for an acquisition of video platform Musical.ly which happened last year in a deal worth as much as $1 Billion marking a good exit for the startup whose services have been integrated into Bytedance's as the Musical.ly link now redirects to its short form video platform Tik Tok. Bytedance has raised vast amounts in previous rounds with the Beijing based company having raised $1 Billion towards the end of 2016 in addition to a funding round August last year where it nabbed at least $2 Billion in funding at an estimated $20 Billion value. A $75 Billion valuation would shoot it to the top of the Unicorn ranks with the figure being above Uber $68 Billion valuation and leading the ranks only being beaten by Ant Financial's $150 Billion value. The company's Toutiao AI based personalized content app and short form video app Tik Tok currently counts 500 million monthly active users in addition to large figures for its other digital services. Bytedance hasn't commented on any potential deal as of current but with time we'll get to see if this becomes official and if it would hit the stated $75 Billion valuation which would make a record for the just 6 year old company.